The couple warned about the rising trend of nationalism in wealthy countries, saying that „turning inward“ could dissuade rich nations (like the US) from investing in global health. Bill and Melinda Gates released their annual letter on Tuesday morning, and the normally optimistic pair wrote about a startling trend: In short, wealthy nations are getting more selfish. „Nationalism is a word we’ve been hearing a lot more often these days,“ Melinda Gates said in the letter, which is the 11th annual note from the couple. The letter tradition started as a way to give a rundown of the Gates Foundation’s work but has morphed into a yearly look at the state of the world. The rise of nationalism is not just noticeable in the US, where President Donald Trump has said he wants to put „America first.“ In the UK, the Brexit deal was framed in a similar way — as a plan to economically separate Britain from the rest of Europe. The trend is also apparent in Brazil, Austria, the Philippines, and other nations, scholars have noted. This is not inherently a bad thing, Melinda said. However, the Gates still believe that people of all political stripes should want to keep other people healthy around the world, even if they do so because it benefits themselves. „There is nothing about putting your country first that requires turning your back on the rest of the world,“ Melinda said. In particular, the Gates want to ensure that rich countries like the US and UK will continue investing in health campaigns around the world. 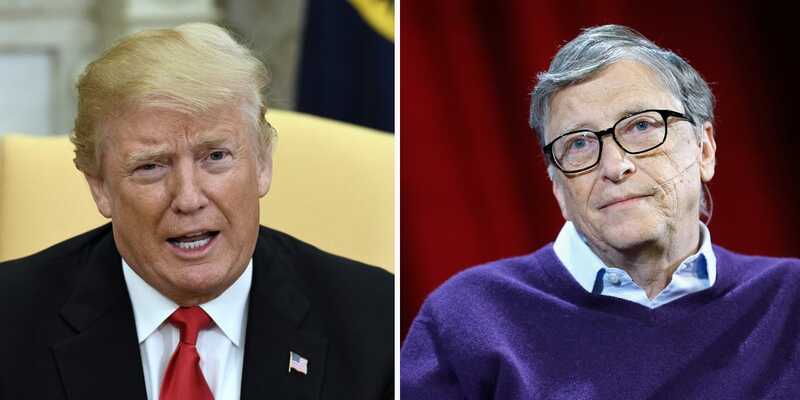 The pair has been investing in public-health initiatives around the world since 2000 through the Bill and Melinda Gates Foundation, but even their billions in charitable contributions pale in comparison to the impact big countries can have. The Gates specifically tout the work of Gavi, the Global Polio Eradication Initiative, The Global Fund to Fight AIDS, Tuberculosis and Malaria, and The Global Financing Facility. Each of these health initiatives will be looking to wealthy nations to renew their pledges of foreign aid in the coming months and years. The Global Fund, which keeps 17 million people with HIV alive by providing medicine, is due for a new round of funding this October. Gavi, a vaccine alliance, has vaccinated 690 million children around the world since 2000 and will need cash in 2020. Investing in this type of foreign aid is not just a selfless give-away, Melinda wrote. Melinda also suggested that keeping people healthy is a better way to deter illegal immigration than building a wall. „Ensuring that every parent everywhere has the opportunity to raise safe, educated, healthy kids makes it less likely that they will embark on desperate journeys to seek better lives elsewhere,“ she said. Currently, the US devotes about $50 billion per year to foreign aid. That’s just 1% of the country’s annual budget, but it’s much more than the Gates Foundation can spend. Health aid specifically makes up a small chunk of that foreign aid spending, between 0.1 and 0.3% of the US‘ total annual budget. Bill and Melinda Gates believe that spending is worth it, regardless of how you feel about nationalism. Read the full Gates letter here.